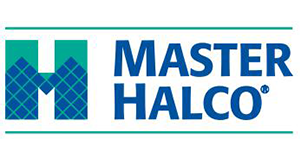 Did you know that the increase in your home value after installing a solid fence can create a 50% return on your investment? This is just one reason to consider a wood privacy fence. 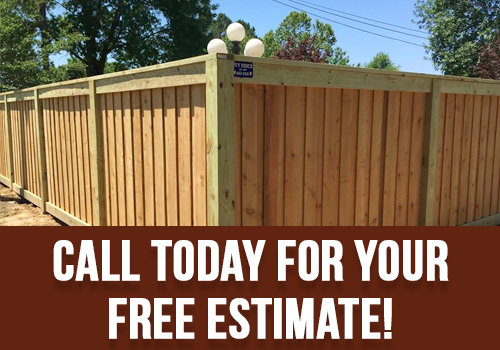 Installing a fence on your property is an exciting decision that can give your yard a whole new look. 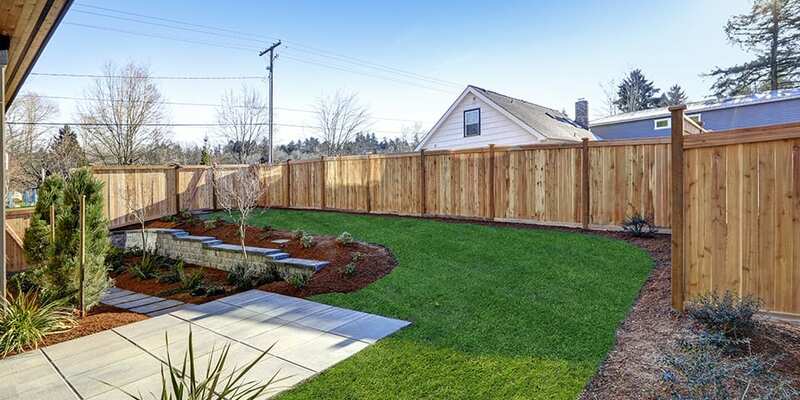 The right fence will create warmth and character in a yard, transforming an open, grassy piece of land into an outdoor oasis with just the ambiance you desire. 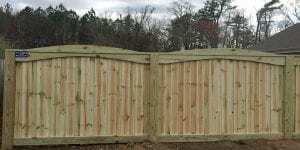 When considering a privacy fence, wood privacy fences are one of the most popular choices for a variety of reasons. 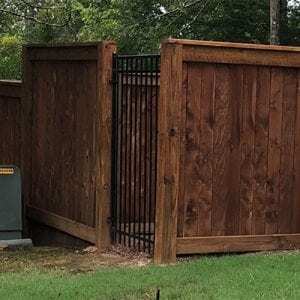 The guide below outlines some of the top benefits wood fencing provides. Wood fences offer a versatility that other types of fencing don’t provide. The choices in different varieties of wood, as well as different paint and stain colors, allow you to customize the fence to match your house and neighborhood, as well as to create the feel you want in your outdoor space. Wood also offers the flexibility to be cut to customize the style, widths, and height of the fence to suit your needs, style, and budget. How do homeowners customize their wood fence? 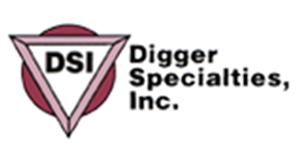 In most situations, privacy fences are constructed to be between 6 and 8 foot tall. Some homeowners choose to customize their wood fence by adding a layer of lattice to the top of their fence or cutting a scalloped design into the top board. Others choose the tall picket style to give their yard a touch of character. Some homeowners want to keep the traditional wood fence shape, so customize their fence by applying a clear coat of sealant to keep the natural look of the wood. Others paint the fence a classic white color, still others will stain the fence a deep walnut tone. Clearly, with the unlimited options of different woods, different cuts and installation styles, and different finishes, wood fences top the list of fence choices for their versatility. Wood and vinyl fencing provide the best options if you want your fence to create privacy in your outdoor space. 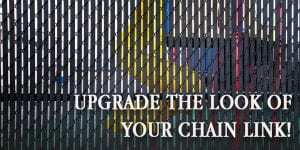 Chain-link and wrought iron fencing do not create as much privacy, and due to their shorter heights, provide less security as well. Wood fencing’s tall, wood panels enclose your outdoor space, protecting children and pets and deterring unlawful entry to your property. The panels block the views of neighbors and passersby, creating a private oasis in your yard. Although wrought iron and vinyl may be the most durable materials for your fence, wood also offers strong durability and can be more affordable than wrought iron and vinyl. The life span of a wood fence depends on factors such as the type of wood used for your fence, and if you are doing regular maintenance on the fence. There are many different wood types you can use to build your fence. Premium-grade pressure-treated wood is a good choice that offers high quality and an attractive look. Pine, spruce, and fir are the most common woods used because they are both durable and affordable. Cedar and cypress both contain oils that naturally repel insects and reduce the risk of bug infestations that can damage your fence. Redwood is the most durable wood of all but is unfortunately also the most expensive. Some homeowners choose to use redwood on the main fence panels, then use a less expensive wood for fencing posts. From increased home value to added privacy and security, the benefits of a wood fence make it a good choice for many homeowners. At Ivy Fence Company, we know that selecting the right type of fence is an important decision you will live with for a long, long time. 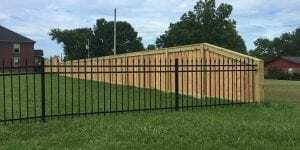 The professionals at Ivy Fence Company will not only help you choose the fence type and design that will fulfill the vision you have for your yard but will also construct that fence with years of expertise ensuring it’s done right and will hold up for years to come. 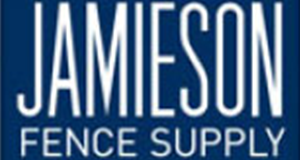 Call us today at (662) 842-3431to schedule a consultation and free estimate.